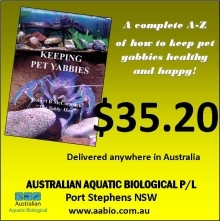 Yabbies can tolerate very low levels of dissolved oxygen in the water. That said they may survive but they will not thrive and if your water quality deteriorates enough then they may die. 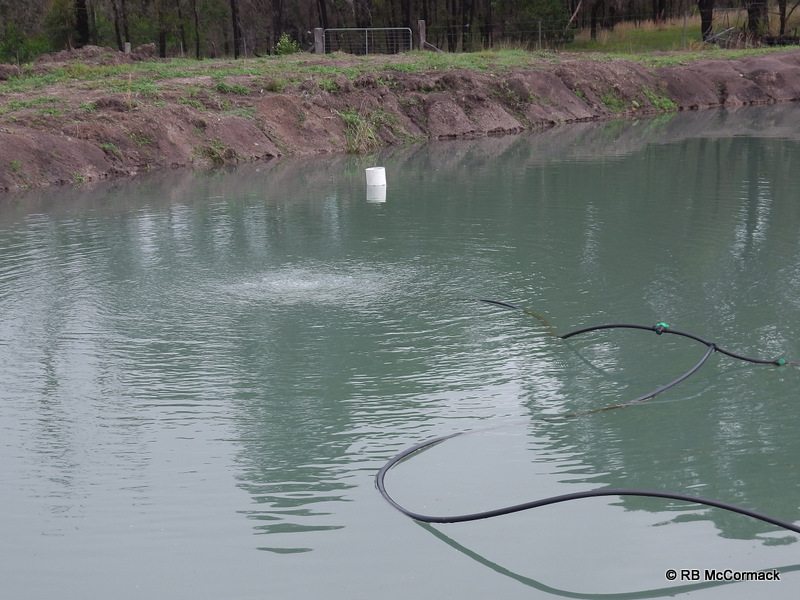 Commercial farmers need to ensure that oxygen levels within any given pond never deteriorate to critical levels. 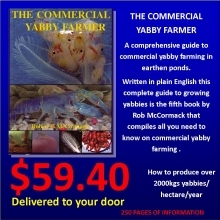 Commonly, yabby ponds are large, widespread and a long way from power. Typically, the easiest and cheapest way to aerate is to send air to the ponds rather than power. 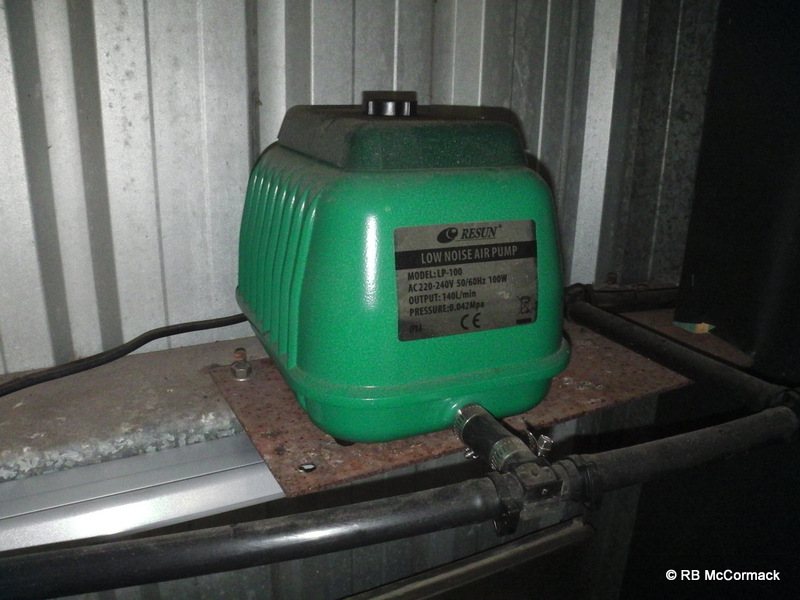 A bank of aerators are installed in a shed with power and individual air lines are run to the ponds. Some people like a main large airline, however, I prefer a number of small airlines, one per pump. The reason for this is simple, if an individual pump is not performing; I know exactly which pump it is. It all starts with an air pump. We use Resun LP-100 Air Pumps. They pump 140L/minute and are cheap to purchase and run. They use 100 watts of electricity so if you are paying 30 cents/kilowatt hour, that’s 3 cents per hour to run. That may not seem much but, they run 24/7 so 78 cents/day or $285/year and that’s just one pump add 3 or 4 and you start feeling the cost. 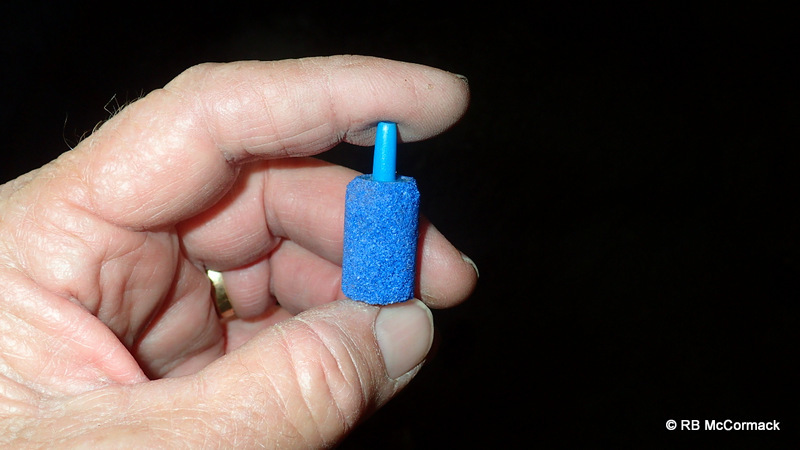 They cost less than $200 to purchase; you can buy them just about anywhere as they are used for septic systems. 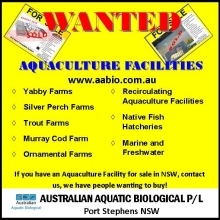 We purchase ours from Aquasonic (https://www.aquasonic.com.au/ ) they have a good price, are reliable and supply backup and spare parts if anything goes wrong. The air pump needs to be located near power, away from any pollution sources. Additionally, it needs to be located higher than the ponds so any moisture in the air that condenses will flows towards the ponds and not back towards the air pump. 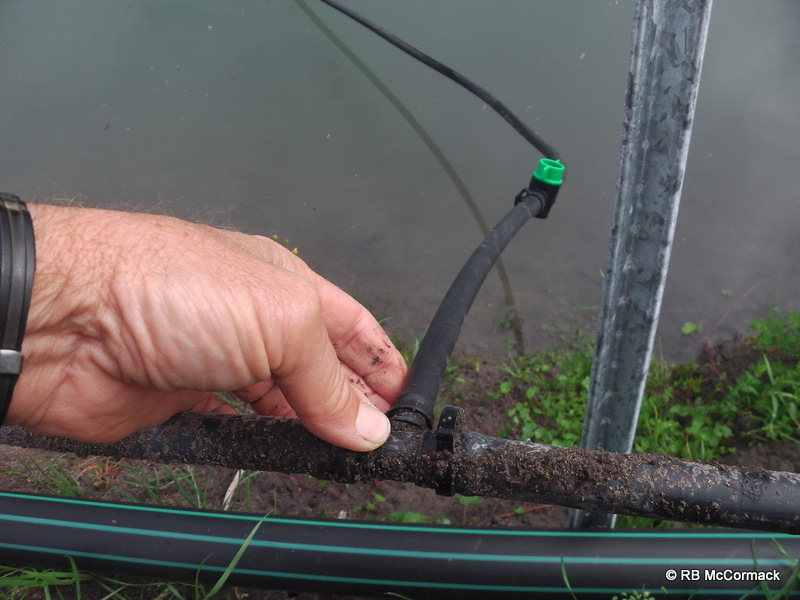 Next you need to run poly pipe out to the ponds. We use 1″ or 25 mm low density poly pipe. Its cheap (approx $1/m), usually just run it across the surface to the ponds. If you have stock or bushfire hazard then you may need to bury the 25 mm hose. If you are burying it then you need to go to a rural pipe. A green strip rural poly pipe will cost that bit more at $1.50/metre but is stronger and will not collapse under ground. Once at the ponds, we branch off into 20 mm or 3/4 poly pipe and then branch again in each pond to 13 mm or 1/2 inch poly pipe. Each branch into each pond has its own control valve. We make our own aerators for the ponds. We use 25 mm or 1 inch airstones. These are cheap to purchase by the 100. We buy boxes of 200 (from Aquasonic: https://www.aquasonic.com.au/) they work out at 25 cents or so each. Airstones only last about 2 years in the ponds then they need replacement. We use 4 aerators per 1000 square metre pond. Each aerator has 6 airstones. A ring of 13 mm poly pipe is strapped to a crate. You can use just about anything, bread crates, milk crates or even plastic cloths baskets. This is an example of a milk crate aerator. 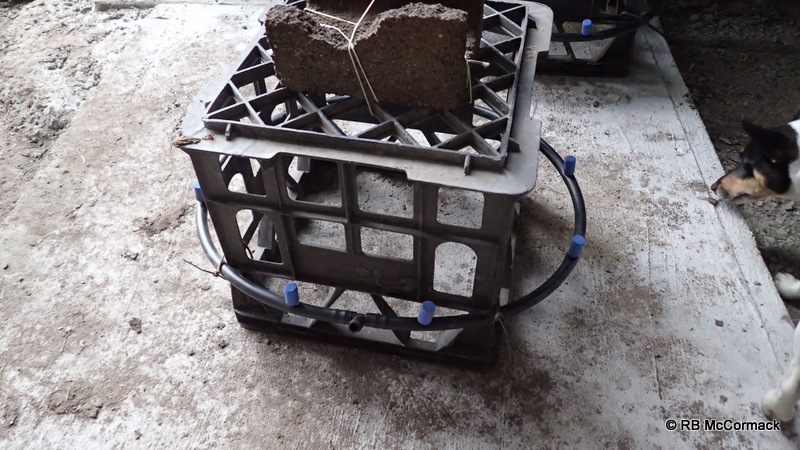 A ring of 13 mm poly pipe, cable tied to a crate with 6 airstones inserted into the pipe. Add a brick or a rock on top to keep it on the bottom and you are done. This is what you end up with, each aerator creates a spot of high oxygen level in the pond. As each small air bubble rises from the airstone to the surface it adds oxygen to the water and drags water with it from the bottom of the pond to the surface. This mixes the water as well as aerating it. Mixing water stops any stratification occurring and helps warm the bottom water where your yabbies live. This type of aeration is easily moved or taken in and out of the pond and if you are trapping yabbies with opera house traps or super yabby traps the aerators don’t obstruct your fishing. The aeration is set and forget, you run it 24/7. One Resun air pump can run 100 airstones at 200 m. If you run 500 m from the pump then you can only run about 60 airstones. This entry was published on October 14, 2018 / Rob McCormack. 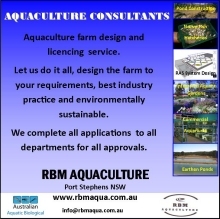 Posted in Consultancy and tagged pond aeration, Pond Construction, Yabby farming, Yabby ponds. Bookmark the permalink.